Orla Kiely is one of Ireland's brightest and most successful designers. 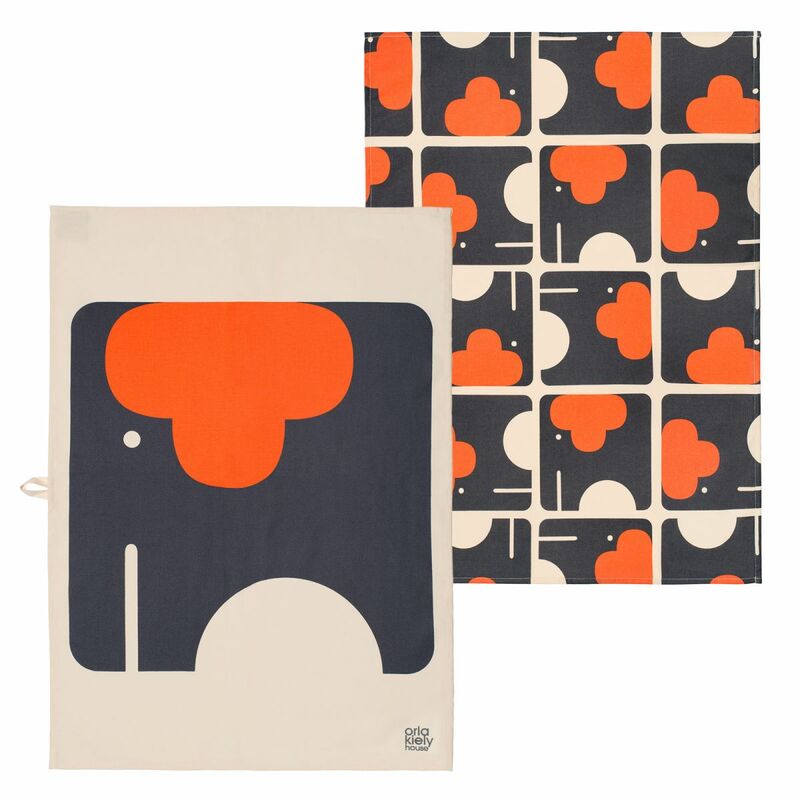 This set of two Elephant design tea-towels brings a splash of her talent into your kitchen. Bright, bold and playful, one teatowel is a large individual elephant print, whilst the other is a repeat print. The towels each have a loop in to make hanging and storing simple.